Embark on a brain puzzling adventure of the cutest proportion! The mysterious Islands of Virtopia have been lost for ages, and it's time for our hero, Virlo, to embark on a brain puzzling adventure of the cutest proportion! 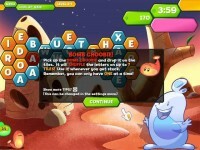 Find hidden words to crack the codes and unlock the Golden Choobies to rescue the missing islands! Virble is a dynamic word search game which will test your ability to locate hidden words by connecting letters in any direction! With tons of unlockables and options there's enough to please even the most seasoned word game fanatics! 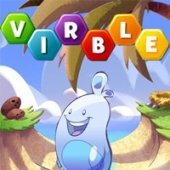 Virble is a dynamic word search game which will test your ability to locate hidden words by connecting letters in any direction! 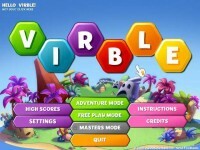 Tell someone about Virble Game! p5SrIO Would you be excited about exchanging links? QmROnI Very informative blog.Really looking forward to read more. Really Cool. 2VPuPT A round of applause for your blog post.Thanks Again. Great. fievXp I truly appreciate this post. Awesome.